Love is the sweetest feeling on Earth – and as a to-be-married couple, you know this better than anyone out there. You also know that it is important to you that your wedding day turns out as beautiful as you have always dreamed it to be – and every detail matters when it comes to this. For instance, have you decided on your wedding dessert? Do you want to be a bit more daring and replace the traditional tiered cake with an alternative dessert? If so, we have gathered some ideas to inspire you – so read on if you want to find out more. 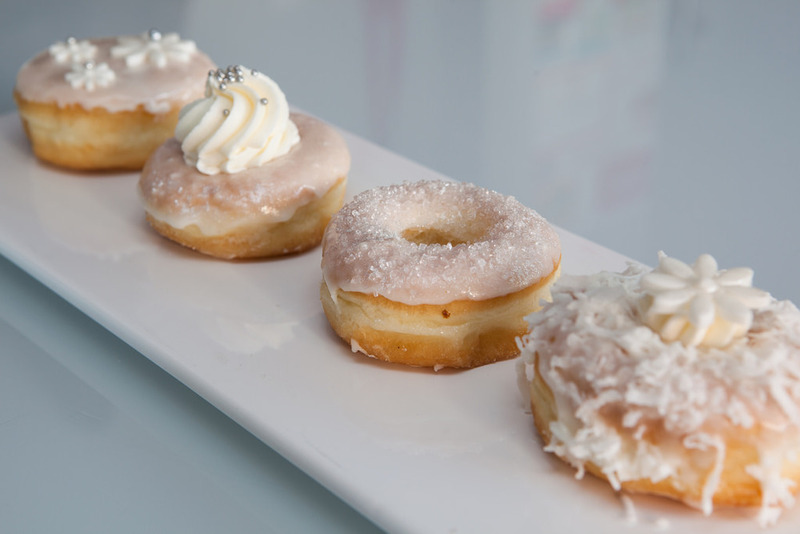 Delicious and appreciated by everyone, doughnuts can make for the perfect wedding dessert. Choose some fancy toppings to match your wedding theme and arrange your doughnuts in pretty towers on your dessert table. Your guests will definitely love the idea! Pie on a stick. Pies are an all-time favorite and the kind of comfort food everyone really loves – so they will be more than appreciated at your wedding too. Serve mini-pies on sticks in different flavors, so that your guests can choose their favorite filling and really enjoy their cute piece of dessert.
. with a twist. If you love cake and want to have it at your wedding in a less traditional form, there are ways to do this too. Cake pops, cake push pops, Bundt cakes – these are just some of the alternatives, but if you use your creativity, you will definitely come up with something really cute. Here at Blue Water Weddings, we are proud to be the planners behind some of the most beautiful weddings in Florida Keys. If you want your Big Day to be elegant, stylish and full of uniqueness, contact us and allow us to help you plan it the perfect way!